This sabre saw will cut through materials fast without any extra sweat. METABO has released a new and powerful PSE1200 sabre saw that will be available on the Australian market in July. 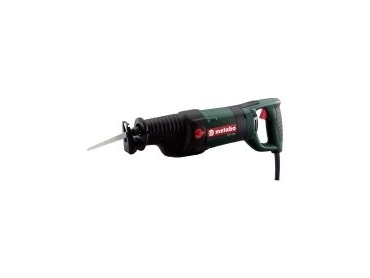 Engineered in Germany, Metabo's PSE1200 boasts a 1200-watt power rating. Metabo has designed the saw with a 360° rotatable handle and the saw blade can be fitted in two positions with 180° difference enabling the blade to get in anywhere with ease. The orbital action forces sawdust away from the blade so it can cut faster, and the fully adjustable front guide plate gives more control. Other great features include quick tool-less blade changes saving time, and soft grip rubber handles for extra comfort. Metabo's professional saw blades ensure top performance and long service life. Wood, metal and wood/metal combination saw blades are available. Metabo backs its power tools with a professional 3-year warranty. Metabo XXL warranty program is a 2-year extension of the 1-year warranty for customers who register personal information on-line at www.metabo.com/xxl within four weeks of purchase.